For the last three years, the college under the helm of Dean Lansigan has experienced significant progress in the areas of instruction, research and extension, internationalization, infrastructure, faculty, staff, and student’s development. The General Education Program, in particular, and a number of curricular programs (e.g. graduate degree programs in Math, Applied Math, Physics, and Applied Physics) have been developed, revised or instituted. Research project proposals with funding from UPLB Basic Research, UP EIRDG, DOST- PCAARRD, PCIEERD, DA-BAR, etc. were forwarded. The CAS Student-Faculty Research Conference was held as a boost to the academe to continue to undertake researches. Funding of attendance to conferences thru the CAS World Class Fund (WCF) and Global Competitiveness Fund (GCF), collaboration of the UPLB Graduate School with the Language Instruction Towards Excellence (LITE) program, and the emergence of the Fusion of Arts and Sciences Program of the Digital Humanities were the advances in extension programs gained by the college. LITE Training courses with foreign universities such as Tokyo NODAI, Kobe University, Hankyong National University, Rajabhat Maha Sarakham University, and with other schools from countries in Asia were consonant to the college’s direction towards internationalization. Repairs of the CAS-DO building, addition of meeting room and receiving windows in the CAS-OCS, renovation of toilets and multipurpose training room in the CAS building, installation of new aircon units and a fix of the fire hydrant to the CAS Annex 1 and 2 buildings, respectively, and completion of the construction of the Wing B and two lawn tennis courts at the Department of Human Kinetics, were undertaken. Harnessing of the faculties, staff and students were also a priority of the college. For the faculties, the DOST ASTHRPD Scholarships were availed, fellowship from the CHED K to 12 Transition, fellowships from The University of Texas, University of Budapest, University of Bonn, and National Sun Yat Sen Univerity were instituted, and several professorial chairs and faculty grants were issued. Administrative staffs were sent to the Disaster Risk Reduction and Management Workshop, e-UP Refresher Training (HRIS-SPMS), e-UP Hands-on Training (SPCMIS), CAS-SARAI Team Building, and to the Capability Building Seminar-Workshop (skills training and sustainable livelihood) for CAS Administrative Personnel. Collaborative projects with the CAS Student Council were continuously held, like the UPLB Parolan, UPLB Palaro, GE Forum, Student Awards during the CAS Foundation Week, and the establishment of the Hagdanan ng Malayang Kamalayan. From 2014 to 2017, the college together with Dean Lansigan, has been witness to the recognition as Centers of Excellence of IBS, ICS, and INSTAT, international accreditation of BS Biology, and awarding of the UP Scientist and NAST OYS awards to some of its exemplary constituents. With a fresh mandate, Dean Lansigan will be looking forward to the more internationalization of the college via the inclusion of the Tokyo University of Agriculture, Japan and Kobe University, Hyogo, Japan, and SHS students from PRC to the LITE Training program, networking with University of Seoul, and CAS collaboration with AA abroad. At home, the Quality Assurance for Quality Education Initiative will be set up. Construction of the CINTERLABS at the Physical Sciences Building rooftop, the UPRHS Building for Senior High School Students, the Makiling Film Theater at ICOPED, Animation Studio at CAS Bldg. Basement, comfort rooms at the CAS Annex second floor and at the Physical Sciences Bldg. are at the pipeline. 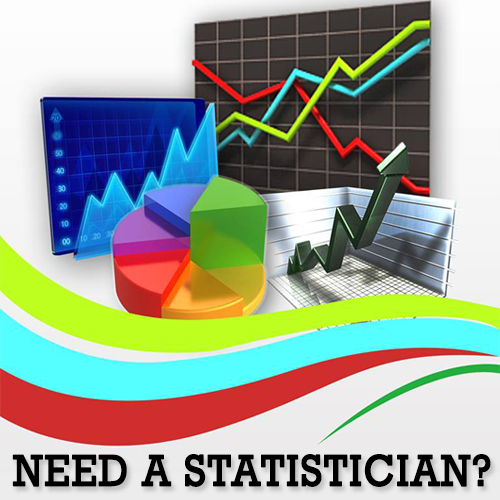 Dr. Lansigan is Professor 12 at the Institute of Statistics. His educational background had been a blend of Agriculture, Statistics, Hydrology and Water Resources. He serves both as a member and project leader of various local and international working groups which concerns mostly on topics about Climate Change and Mitigation. He is an author and editor in numerous publications, and also a recipient of several awards and distinctions for his valuable research works, notable teaching profession, and public service. 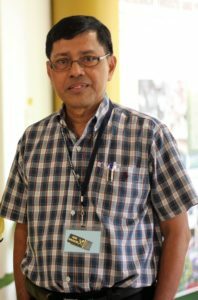 Dr. Lansigan serves as the 8th dean of the college since its first establishment in 1972 as the College of Sciences and Humanities then.